World’s Most Expensive Whisky at a Hotel in Beverly Hills. Where Else?! 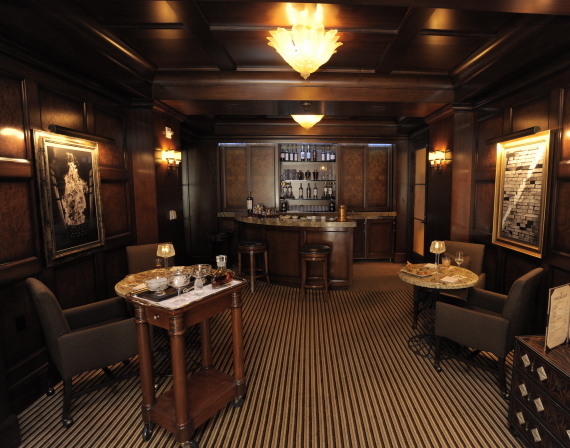 Montage Beverly Hills, the chic luxury hotel located in the famous Golden Triangle near Rodeo Drive, has launched a new lounge called £10 (Ten Pound), famed single malt distillery The Macallan’s only official outpost in the United States. £10 derives its name from the Scottish ten pound currency note which features a rendering of The Macallan distillery’s antique copper stills. As a tribute to this, The Macallan 12 Years Old single malt is appropriately priced at 10 Scottish Pounds per glass – about $16. £10 is the only establishment in the world where one can enjoy a glass of the world’s most expensive whisky, The Macallan 64 Years Old single malt, priced at $60,000 per shot.